The objects below represent a small selection of the museums archive and former objects of the month. 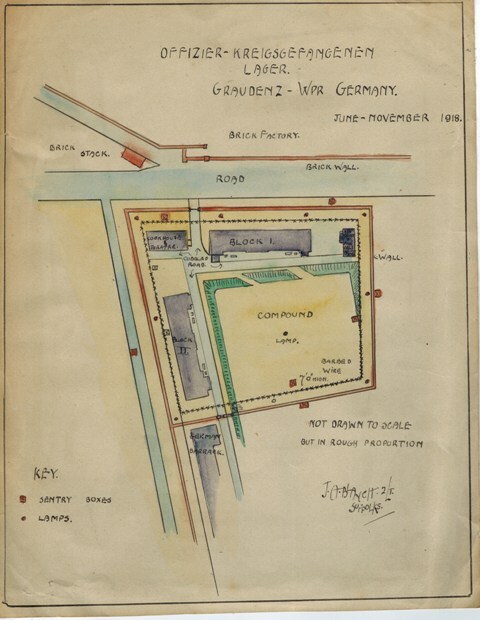 A plan drawn up by 2nd Lieutenant J A Blanch of the 12th Battalion before an escape attempt from the Officers’ POW camp at Graudenz (now Grudziasz) In Poland near the end of the Great War. 22 Officers did escape although three were recaptured. 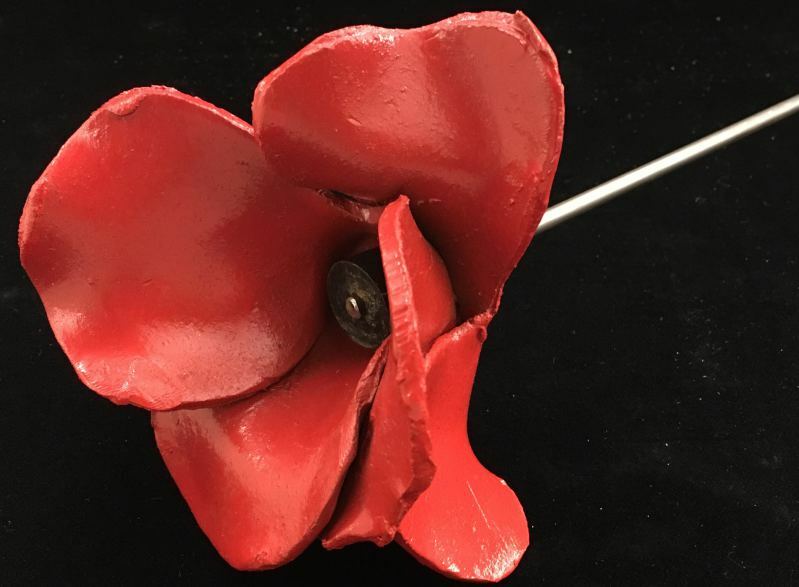 The brooch was given by Mr A V Farmer, a former Great War Suffolk Regiment Officer, to his wife as a reward for her courage during their internment in China from 1949 to 1952. 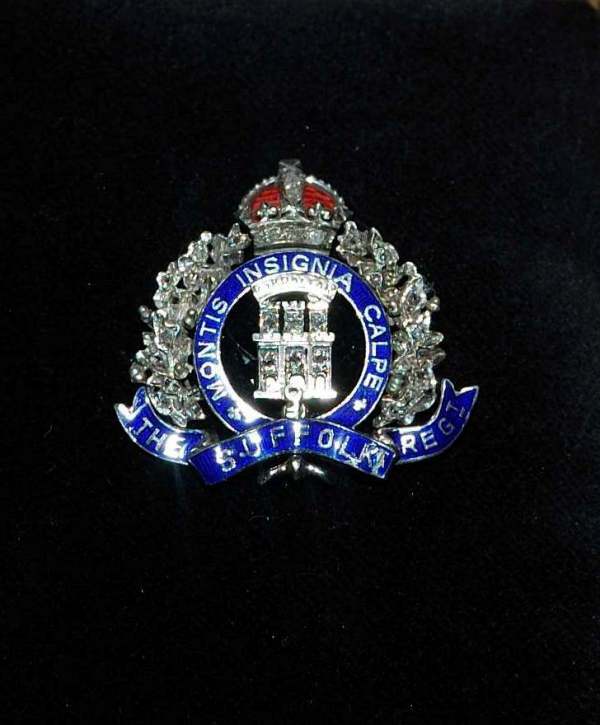 It is modelled on the regimental cap badge. 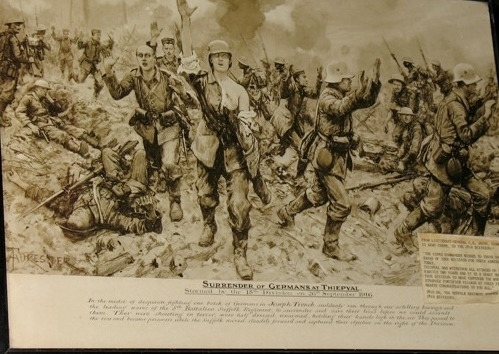 A sketch showing part of the action in a successful attack on German trenches near Thiepval by the 8th Battalion on 26 September 1916. 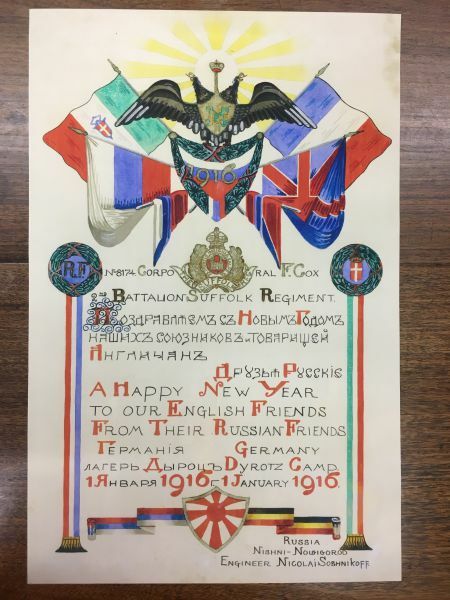 Certificate of New Year’s greetings to Cpl Cox of the Suffolk Regiment from Russian fellow-prisoners in Dyrotz Prisoner of War camp. Identity discs of Lieut Hugh Monier-Williams. He was twice awarded the Military Cross during the 1914-1918 War, while serving with the Machine Gun Corps. He later commanded the 2nd Battalion The Suffolk Regiment on the North-West Frontier in the early years of the 1939-1945 War. 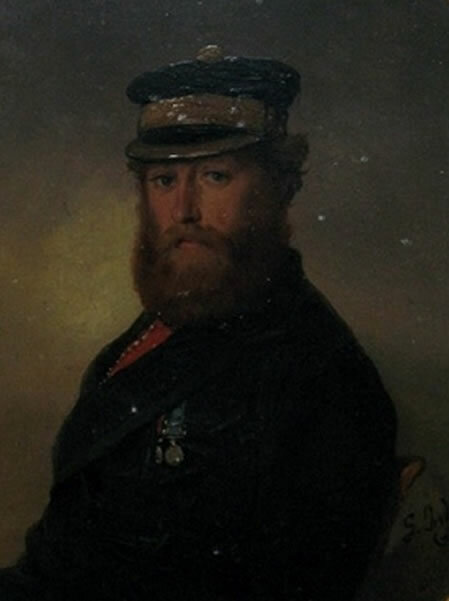 An accomplished artist, he was one of the leading historians of the Regiment. 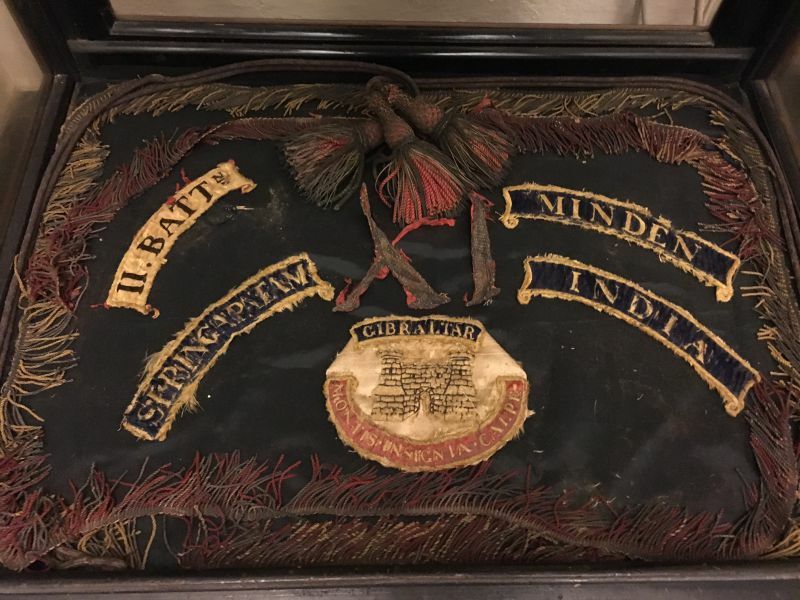 The Battle Honours, fringes and the crest of England taken from the Queen’s and Regimental Colours of the 2nd Battalion, carried between 1858 and 1879. 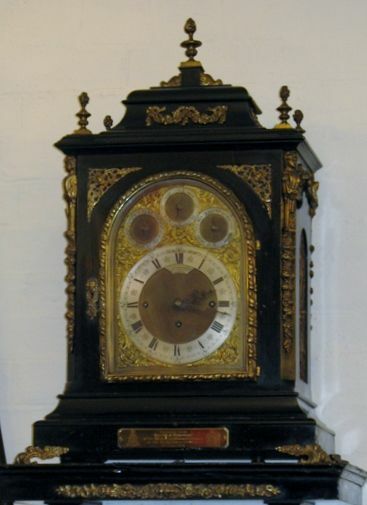 Three chain chiming fusee bracket clock presented to the Regiment by the Mayor, Aldermen and Burgesses of Ipswich in 1948 on the occasion of its being granted the Freedom of the Borough. Ceramic poppy displayed in 2014 at the Tower of London in the art installation ‘Blood Swept Lands and Seas of Red’, presented to the Museum in memory of Private Stanley Payne Reeve, 7th Battalion. 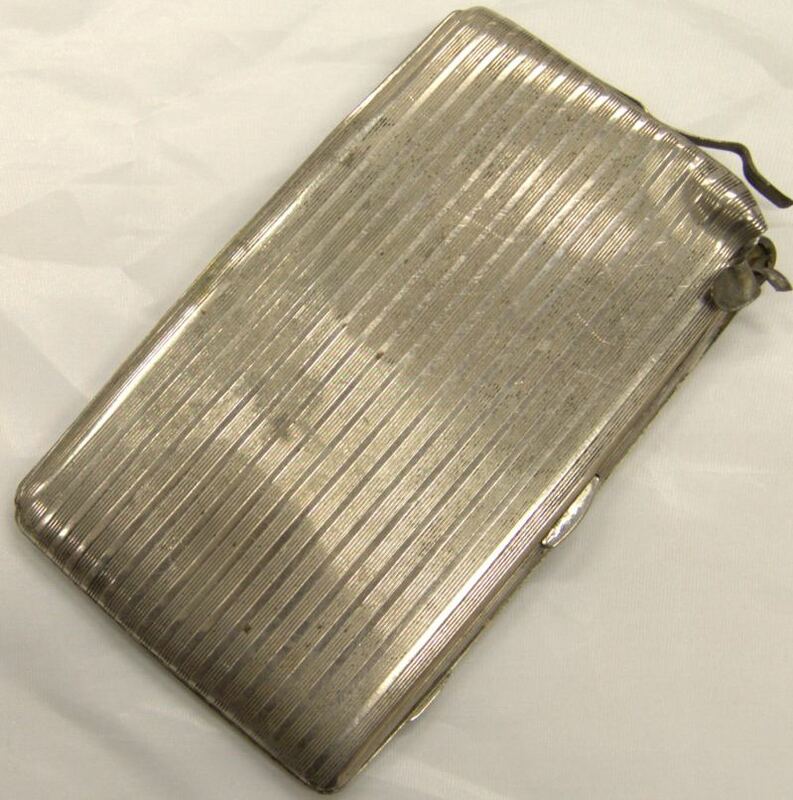 Cigarette case of Lt Gilbert Kilner, MC, 5th Battalion. The case was in his breast pocket at Suvla Bay , Gallipoli on 12 August 1915 when a piece of shrapnel passed through the sleeve of his tunic and struck the case. The Roubaix Drum. 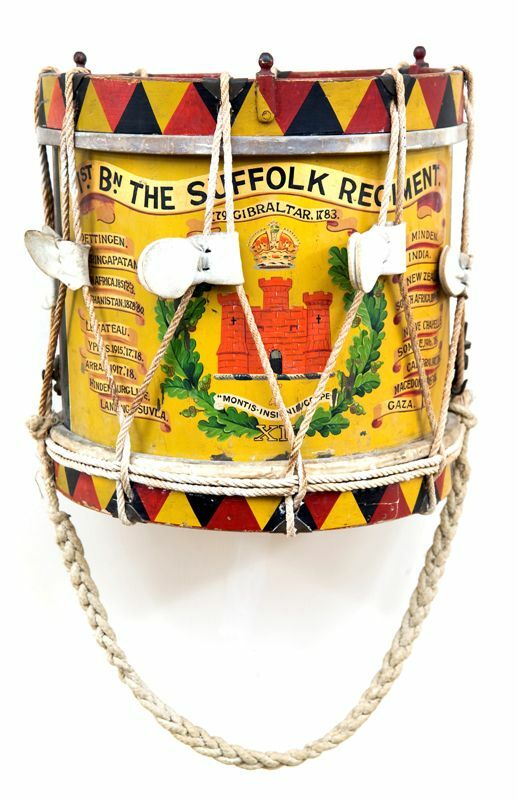 The Drum was one of those left behind by the 1st Battalion before Dunkirk but retrieved after D-Day. 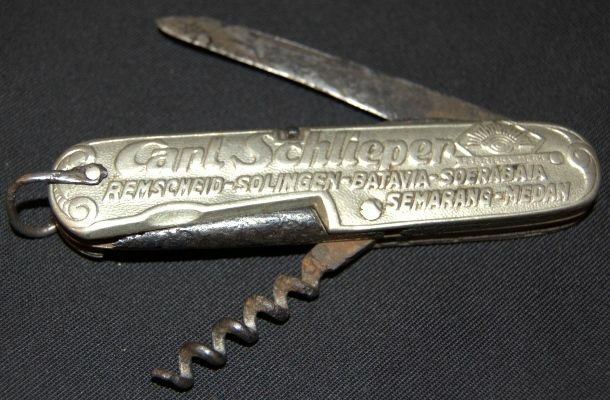 It was lost to sight in the 1950s but turned up on EBay when it was purchased for the Regimental Museum. 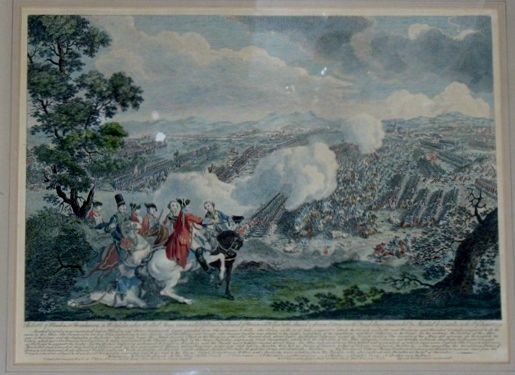 The Battle of Minden, fought on 1 August 1759, was The Suffolk Regiment’s premier Battle Honour, when the Regiment helped to rout the French Cavalry. It is still commemorated every year on the Sunday closest to 1 August. 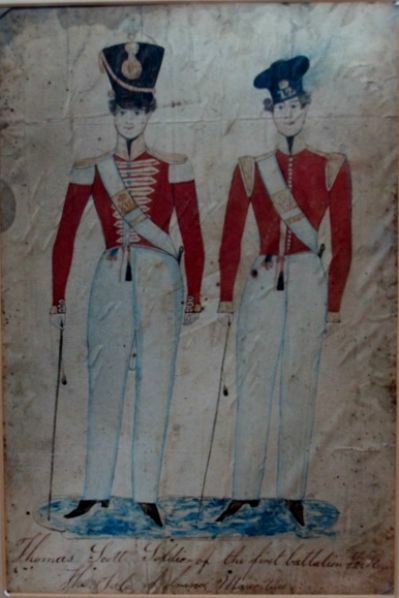 Water-colour of two Suffolk Regiment soldiers by Private Thomas Scott, drawn when serving with the Reserve Battalion in Mauritius in 1841. 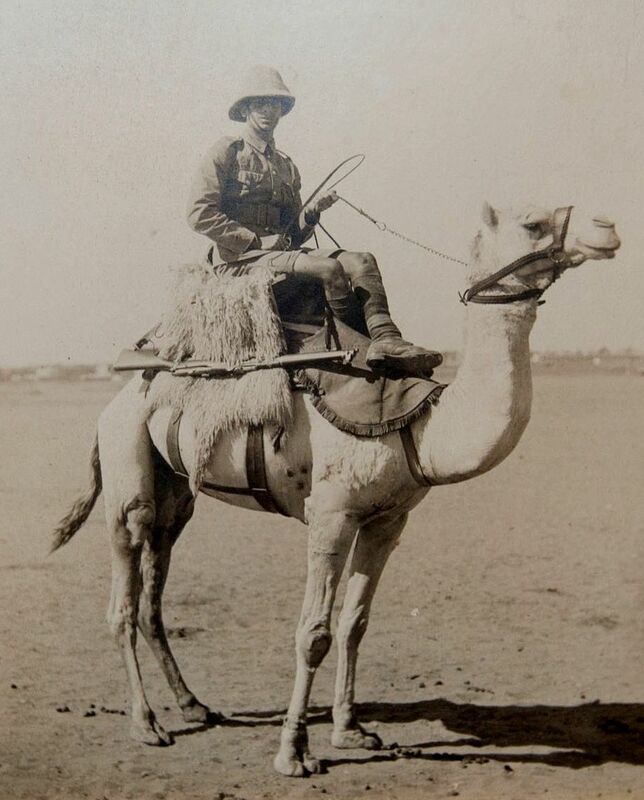 Private Henry William Stannard of the 1st Battalion on a camel at Abbassia in Egypt 1911. 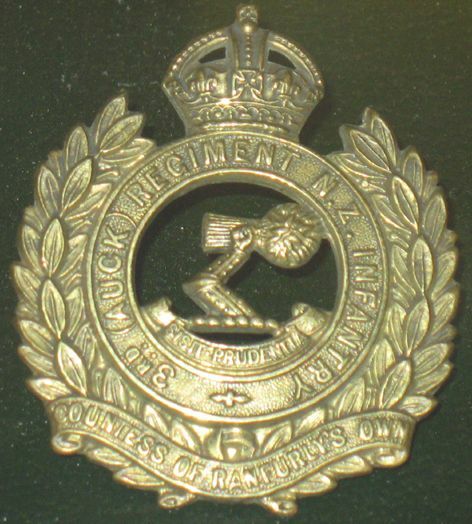 Cap badge of the 3rd (Auckland) Regiment, New Zealand Infantry (Countess of Ranfurly’s Own). The Regiment was affiliated to the Suffolk Regiment in 1913 in recognition of the latter’s service in New Zealand between 1860 and 1867. Spade used by Princess Christian of Schleswig-Holstein in planting a commemorative tree at the Depot in 1904 before opening the Suffolk Regiment Memorial Cottage Homes. Iban blow-pipes. Iban tribesmen from Sarawak provided invaluable assistance as trackers in the Malayan jungle, supporting the 1st Battalion during the early 1950s. In 1953 a separate Iban Platoon was created. 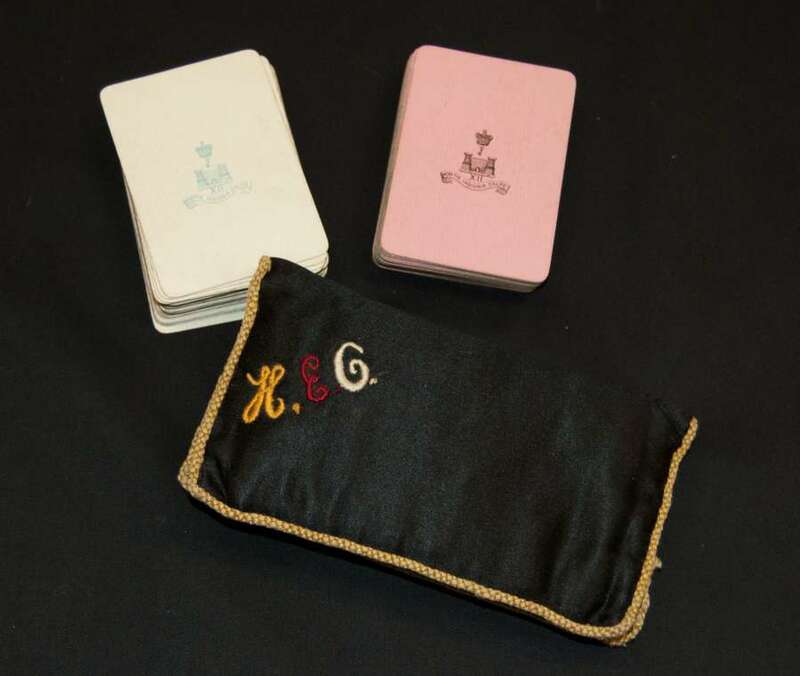 Two sets of regimental playing cards in a monogrammed bag, the property of Capt H E Olivey, killed in action in Somaliland on 17 April 1903 while on attachment to the King’s African Rifles. The ‘Birkenhead’. 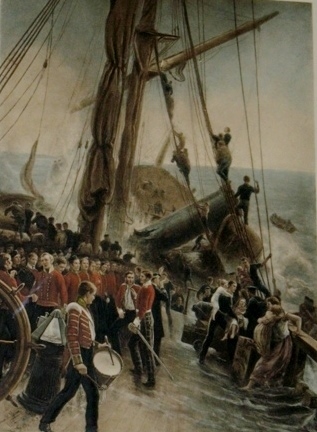 A painting by Thomas M Hemy of the deck of the troopship ‘Birkenhead’ which sank off the South African coast in February 1852. 55 Suffolk Regiment soldiers were among the many troops drowned. 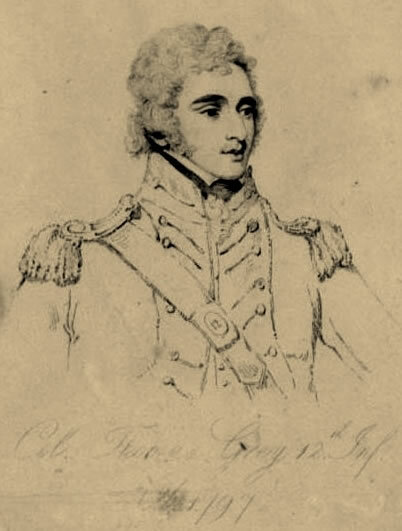 Lieutenant Colonel Thomas Grey, who died of an abscess at Capetown on 17 January 1797. He had been left behind, unwell, while the rest of the Regiment sailed for India. Medal group of Sgt James O’Neill. He served in the Crimea and Canada with the Rifle Brigade but ended his service career as a Sergeant-Instructor with the 1st Volunteer Battalion the Suffolk Regiment (Framlingham Company). 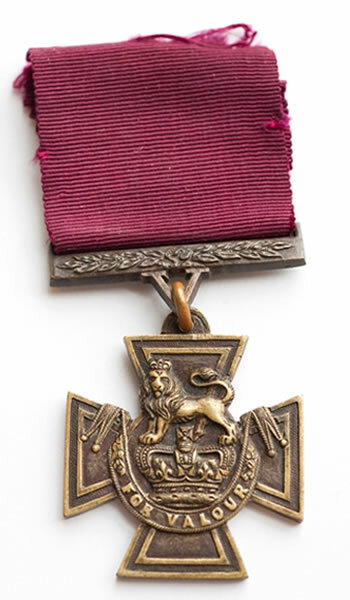 The Victoria Cross of Sergeant Arthur Saunders, 9th Battalion – one of only two awarded to the Regiment. He won it for acts of gallantry at the Battle of Loos on 26 September 1915. Now on public display for the first time! Lt Col A E Ponsonby, who died of cholera at Jubbulpore, India, while commanding the 2nd Battalion. A popular innovator, Ponsonby had organised a Soldiers’ Industrial Exhibition in Dublin in 1864 ‘to show the public that the soldier was not a useless member of society’. 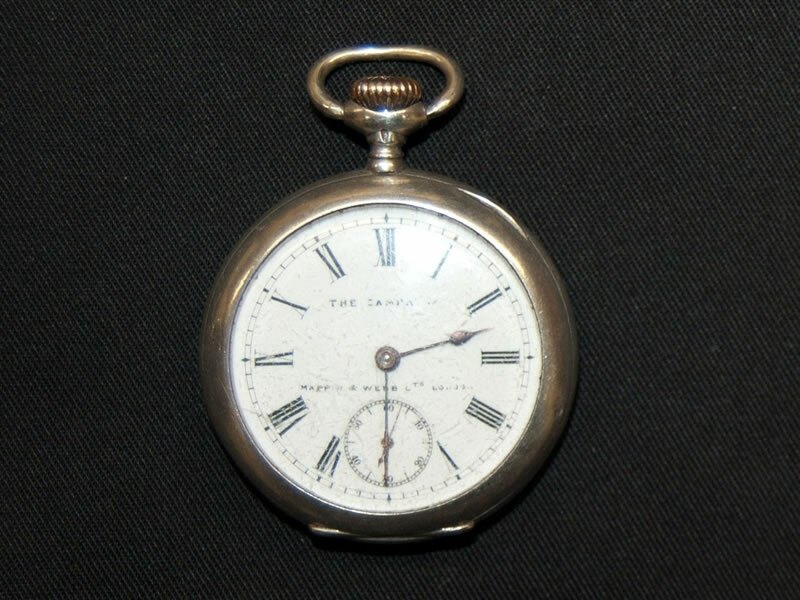 Pocket watch presented to Cpl F Havers, 2nd Volunteer Battalion by the townspeople of Eye on his return from active service in South Africa in 1902. 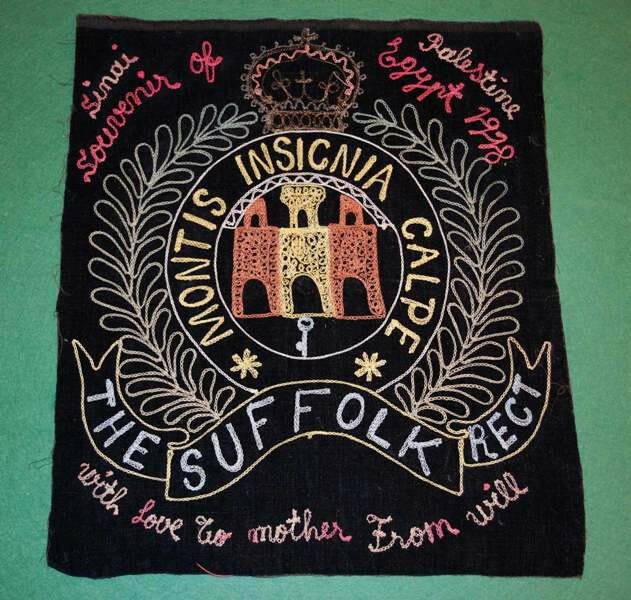 Badge of the Suffolk Regiment embroidered by ‘Will’ and sent home to his mother from Egypt, where he was serving with the 5th Battalion during the Great War. 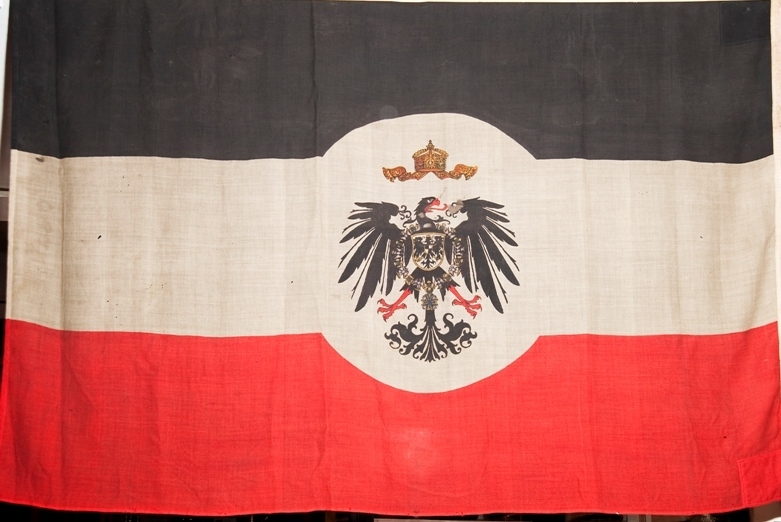 German flag captured at Lome, Togoland, on 9 August 1914, taken down from the Government House flagstaff by Lt A I MacPherson, a Suffolk Regiment officer serving with the Gold Coast Regiment. 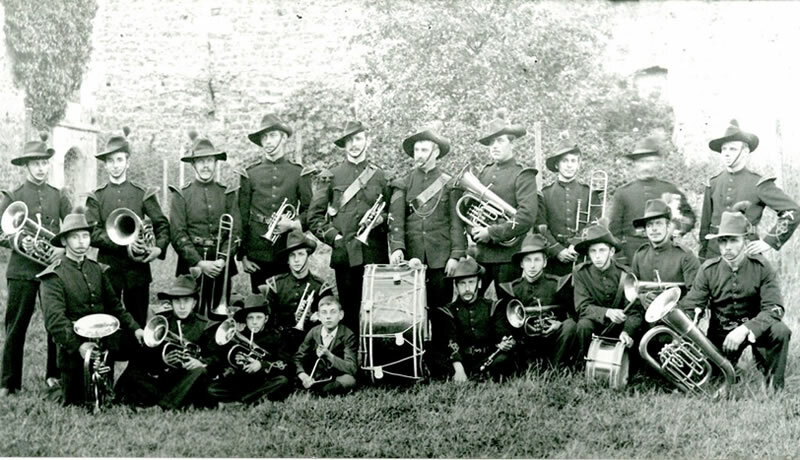 Photograph of the Band of the 1st Volunteer Battalion the Suffolk Regiment, taken at Benhall Rectory near Saxmundham in the early 20th century. Medal ‘honoris causa’ awarded to Cpl Percy Watts of the Suffolk Regiment. 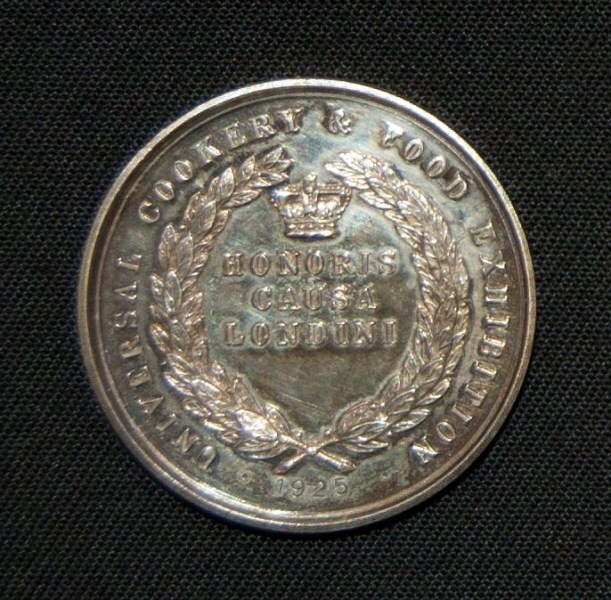 Cpl Watts was a member of the 2nd Battalion team who came third in the 1925 Army Cookery Shield Competition. He later served as Depot Officers’ Mess Steward for thirty five years. 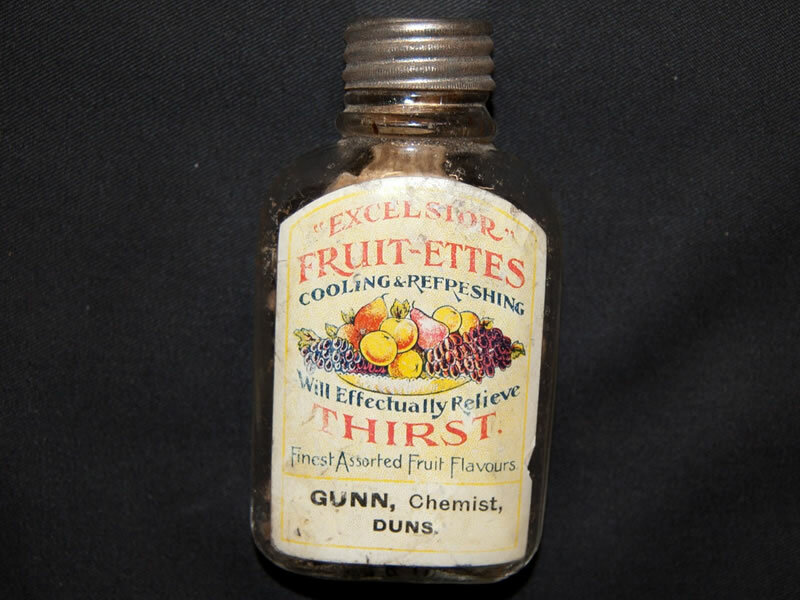 Bottle of ‘Excelsior Fruit-ettes’ thirst-quenching tablets, manufactured by Gunn, chemists, of Duns in Berwickshire. It was found, half full, among the effects of 2nd Lieut Thomas Hood of Duns after his death in action in October 1916 while serving with the 7th Battalion. 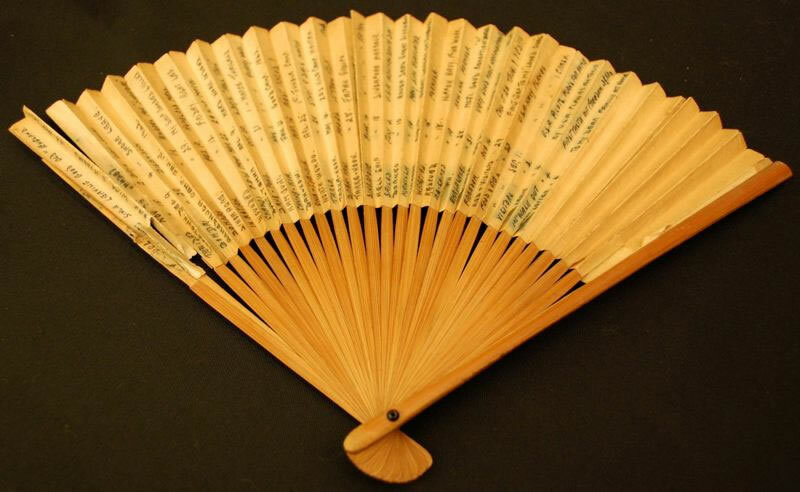 A fan kept by C/Sgt Arthur Challess of the 4th Battalion while a Far East Prisoner of War between 1942 and 1945. The fan was inscribed with notes on significant events during his captivity. 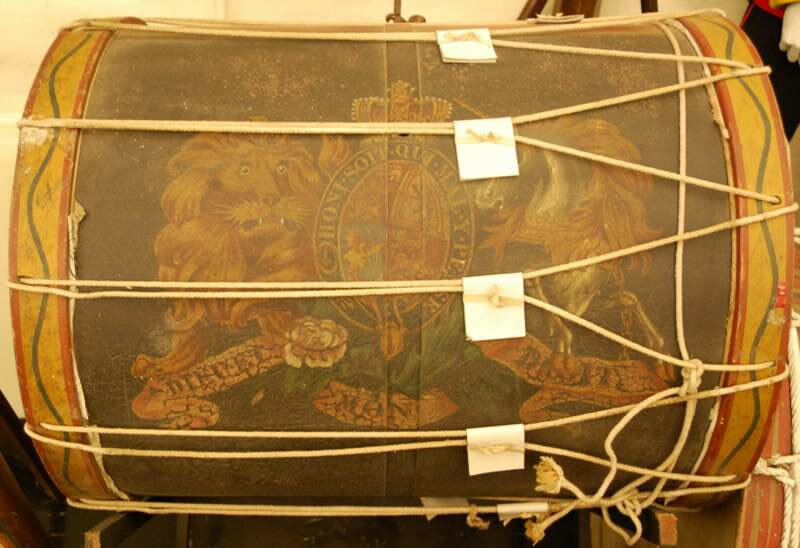 The drum originally belonged to the Wrentham Volunteers, formed in 1803. In 1804 they were merged with the Blything Hundred Volunteers who were disbanded in 1813. In 1860 a new Rifle Volunteer Corps was formed in Wrentham; the drum was probably used by both corps. 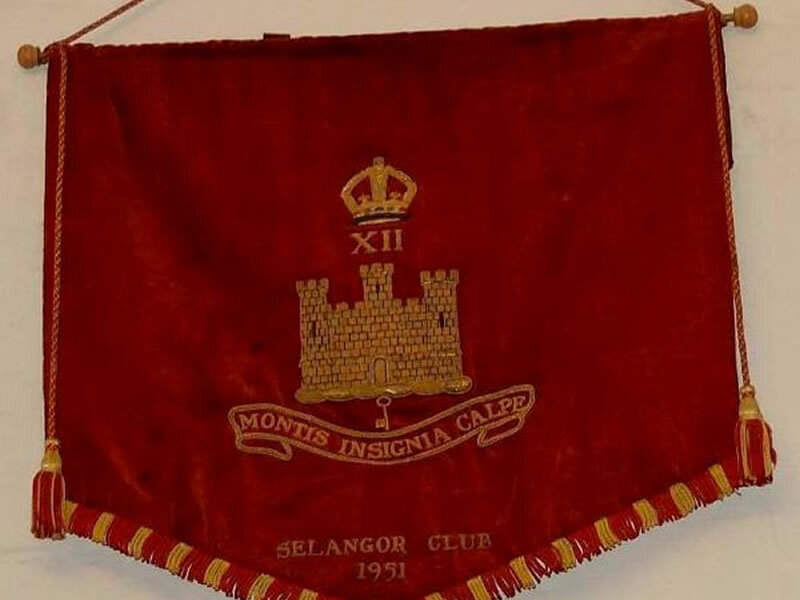 Pennant of the Selangor (now the Royal Selangor) Club in Kuala Lumpur, presented to the 1st battalion in July 1951 to mark their having killed one hundred communist terrorists. 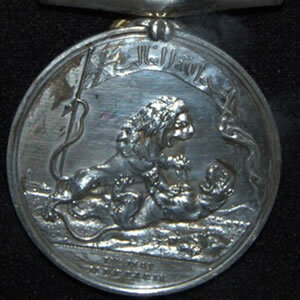 Medal awarded to Pte Thomas Falla of the 12th Foot after the capture of the fort at Seringapatam in southern India in 1799. The British lion is shown overcoming Tippoo Sahib, the ‘Tiger of Mysore’. After Falla’s death in action a wrought-iron shot weighing 26 lbs was removed from his thigh. The Regiment’s last overseas tour of duty was in Cyprus from 1956 to 1959, in operations against EOKA terrorists. Its greatest success was the ambushing and killing of Markos Drakos, the third man in the EOKA hierarchy. 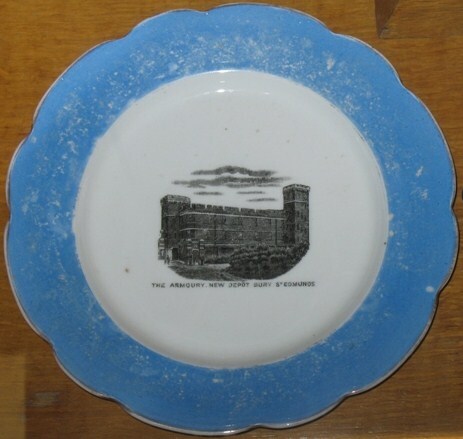 Commemorative plate produced to mark the opening of the Suffolk Regiment Depot in 1878. The Armoury, now known as the Keep, the only surviving building from the original Depot, is now the home of the regimental museum. 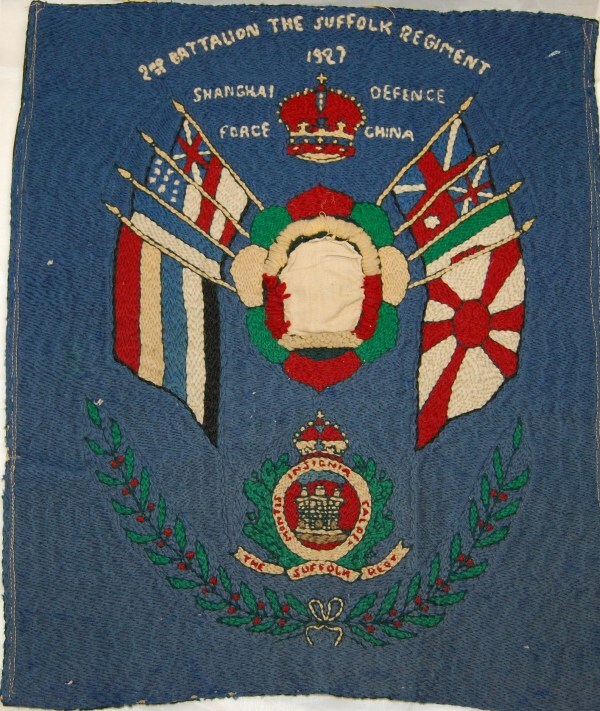 Embroidered regimental badge with the flags of the nations participating in the Shanghai Defence Force, 1927. The 2nd Battalion formed part of the Force.